In Japan, millions of people have ikigai (pronounced Ick-ee-guy)— a reason to jump out of bed each morning. The Japanese island of Okinawa, where ikigai has its origins, is said to be home to the largest population of centenarians in the world. Could the concept of ikigai contribute to longevity? Dan Buettner, author of Blue Zones: Lessons on Living Longer from the People Who’ve Lived the Longest, believes it does. Buettner suggests making three lists: your values, things you like to do, and things you are good at. The cross section of the three lists is your ikigai. Studies show that losing one’s purpose can have a detrimental effect. Discovering your own ikigai is said to bring fulfilment, happiness and make you live longer. 3. What can I be paid for now — or something that could transform into my future hustle? 4. What does the world need? 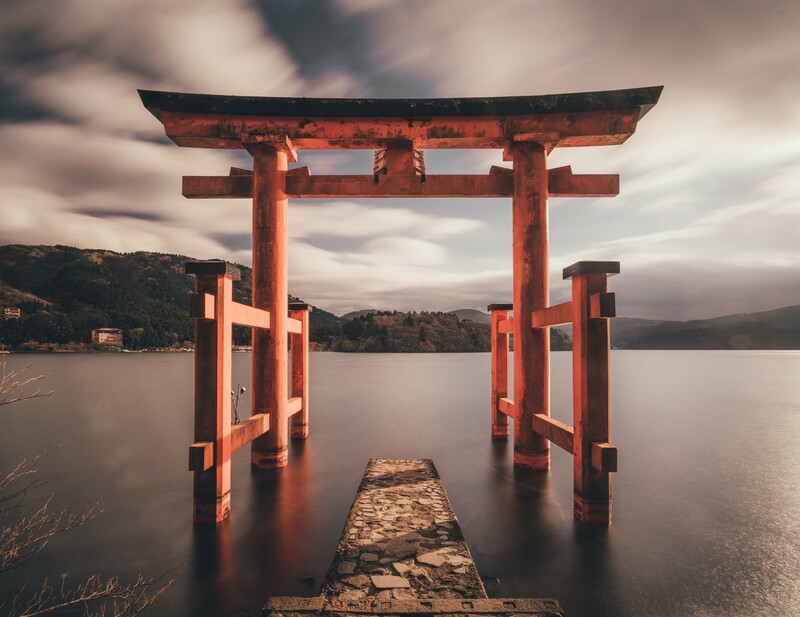 In their book Ikigai The Japanese Secret to a Long and Happy Life, Hector Garcia and Francesc Miralles break down the ten rules that can help anyone find their own ikigai. 8. Give thanks to anything that brightens our day and makes us feel alive. The problem for millions of people is that they stop being curious about new experiences as they assume responsiblities and build routines. Their sense of wonder starts to escape them. But you can change that, especially if you are still looking for meaning and fulfilment in what you do daily. A classic example is Steve Jobs’ curiosity for typefaces which led him to attend a seemingly useless class on typography and to develop his design sensibility. Later, this sensibility became an essential part of Apple computers and Apple’s core differentiator in the market. We are born curious. Our insatiable drive to learn, invent, explore, and study deserves to have the same status as every other drive in our lives. Fulfilment is fast becoming the main priority for most of us. Millions of people still struggle to find what they are meant to do. What excites them. What makes them lose the sense of time. What brings out the best in them. 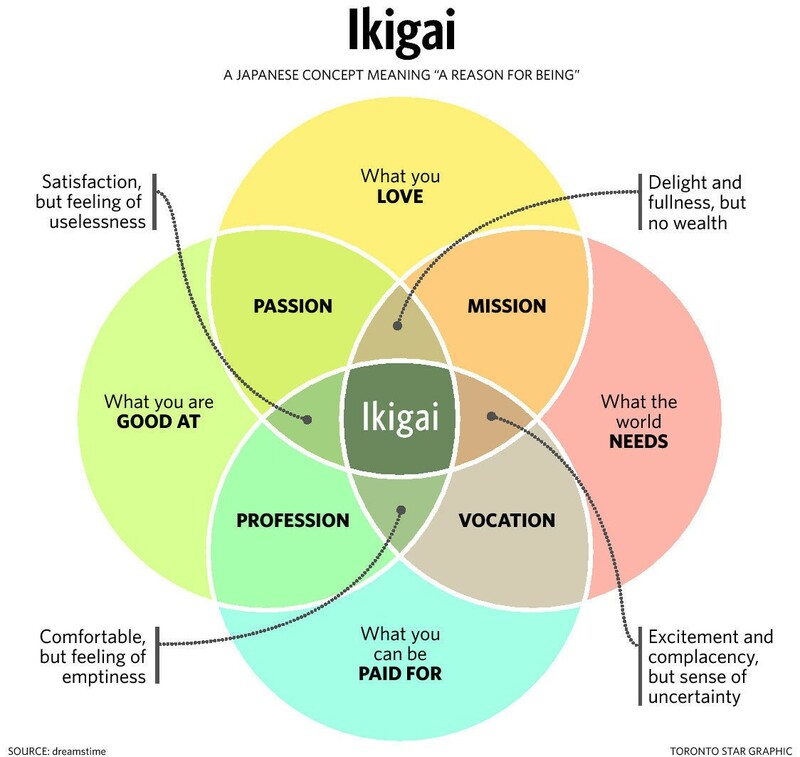 “Our intuition and curiosity are very powerful internal compasses to help us connect with our ikigai,” Hector Garcia and Francesc Miralles write. What is the one simple thing you could do or be today that would be an expression of your ikigai? Find it and pursue it with all you have, anything less is not worth your limited time on planet earth.